Since it’s Broadway debut, “A Tale Of Two Cities” has been performed around the world! Here are two clips from the BOM South Korean Production featuring Ed’s orchestrations. Ed Kessel earned a Drama Desk Award nomination for orchestrating and arranging the Broadway Musical, “A Tale Of Two Cities”, by Jill Santoriello. 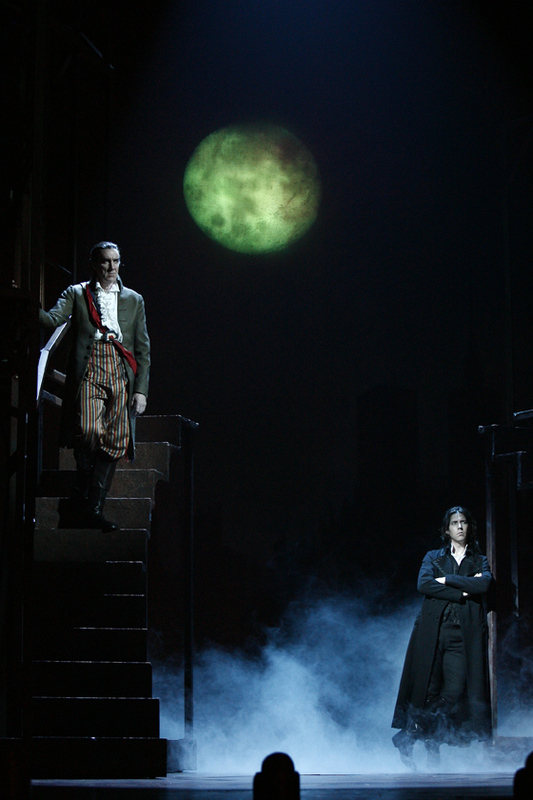 “A Tale Of Two Cities” hit the Broadway stage at the Hirschfeld Theater on August 19, 2008! Critics raved…”A Magical Musical,” “A thrilling experience,” “ The audience cheered, some even wept!” Every performance received a full house standing ovation. It’s based on the Charles Dickens novel and features lavish period costumes, dramatic staging and masterfully orchestrated musical numbers. Lucinda Hawksley: “As a Dickens expert, Patron of the Charles Dickens Museum in London – and a great great great granddaughter of the novelist – I loved A Tale of Two Cities on Broadway. It was original, true to the novel and well cast. Of all the adaptations I have seen (and there have been a number! ), this was the best!" The second coming of Les Miz! It’s impossible not to be moved! Filled with talent and charm! Awash with sound and fury! "Tony Walton’s skeletal setting and impressionistic backcloths are ingenious. David Zinn’s costumes are stylish and Richard Pilbrow’s lighting is imaginative!" "The show’s best asset is James Barbour, a charismatic actor with a booming baritone that rocks the rafters. He’s matched in voice by lovely newcomer Brandi Burkhardt as Lucie Manette, Gregg Edelman stands out as the goodly Dr. Manette. Designed to be a crowd pleaser, there is no denying A TALE OF TWO CITIES’ succeeds." James Barbour has remarkable range and color. "Tony Walton smartly moves the story through hundreds of locations throughout Paris and London. And that’s just before intermission!" "Barbour displays matinee idol showmanship and a genuine flair for old-fashioned melodrama." "The company is first-rate and the story's noble sacrifice, beautifully realized by Jill Santoriello, doesn't leave a dry eye in the house." A tremendous, magnificent grand new musical. "It was the best of times” at the Al Hirschfeld Theatre. A lush production. A TALE OF TWO CITIES has earned a special place in the history of the theatre. The music is excellent. Directed and choreographer with brio and warmth by Warren Carlyle. The cast of 40 is one of the best ensembles I’ve seen on stage."